No increase occurred in hypertension risk over the long term among infertile women or those who underwent fertility treatment. Reflections on "Perinatal outcomes associated with assisted reproductive technology: the Massachusetts Outcomes Study of Assisted Reproductive Technologies (MOSART)" by Declercq et al. The choice of elective single-embryo transfer strategy to be adopted should be determined by the context of the health system and the individual prognosis. 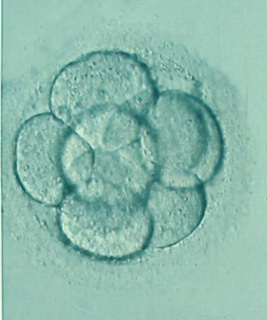 The appearance of the meiotic spindle and the durations of the first, second, and third mitoses are related to the degree of fragmentation of human embryos. The reproductive outcomes of oocyte donation from women cured of cancer are similar to those from women without previous cancer, regardless of cancer type. In a large sample, no increased rate of autism spectrum disorder (ASD) associated genetic events in ASD subjects conceived by assisted reproduction compared to ASD subjects conceived without assisted reproduction. Euploid embryos are far more likely than aneuploid embryos to progress to the blastocyst stage with a linear decrease in probability of blastulation with increasing number of chromosomal abnormalities. Some assisted reproductive technology cycles designated as “embryo banking” have been excluded from public reports. The Society for Assisted Reproductive Technology and the Centers for Disease Control and Prevention have collaborated to recapture these cycles. Obstetric and perinatal outcomes from singleton and multiple pregnancies obtained using vitrified oocytes revealed lack of clinically relevant differences when compared with those achieved with fresh oocytes. Although short-term health effects of donation have been well studied, many unanswered questions remain about the long-term medical and psychological consequences for women who donate eggs. This Views and Reviews explores the many outcomes of clinical trials in infertility that are of interest to clinicians, patients, and public health. It advocates for better tracking of outcomes. Complication types and rates seem similar after transvaginal ultrasound–guided oocyte collection in in vitro maturation and conventionally stimulated in vitro fertilization cycles. The ethical conduct of human gamete and embryo research is contingent upon conscientious application of principles of informed consent with respect to gamete and embryo donors. Relevant ethical issues are developed herein. This editorial demonstrates the challenge in interpreting and communicating clear information to patients regarding the success rates of in vitro fertilization. In a population of U.S. women, only half of those seeking a preliminary infertility evaluation sought eventual treatment, and the likelihood of treatment was associated with income, employment, and ethnicity. Children born after assisted reproduction show no consistent deficits in any specific neurodevelopmental outcomes, at any age. The neurodevelopment is overall comparable to that of children born after spontaneous conception. Assisted reproductive techniques can lead to medical complications such as multiple pregnancy and ovarian hyperstimulation syndrome. A critical appraisal and strategies to reduce the occurrence of these complications are discussed in this manuscript. Reflections on "Proteomic analysis of seminal plasma from infertile patients with oligoasthenoteratozoospermia due to oxidative stress and comparison with fertile volunteers" by Herwig et al. It is ethically acceptable to destroy abandoned embryos. It is not ethically acceptable to use abandoned embryos for research or transfer than to another couple without prior written consent.